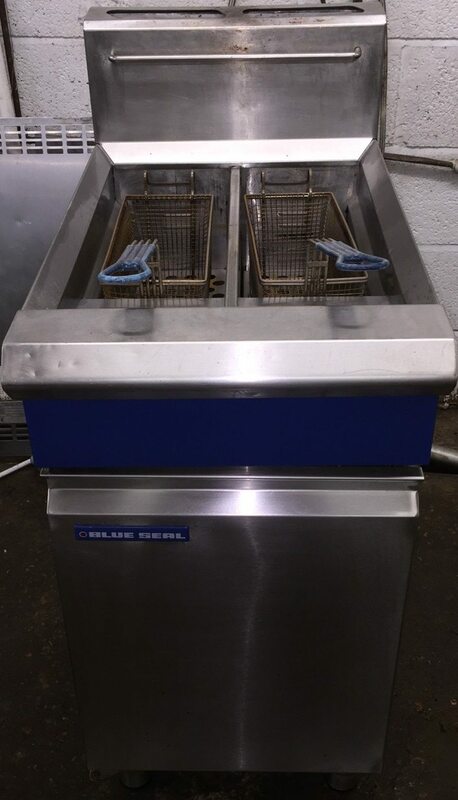 This is Blue Seal’s versatile twin well gas fryer with deep cool zones in each well to trap food particles preserving oil quality. Patented infrared high efficiency burners, temperature range between 145 and 195 degrees celcius, Piezo ignition and flame failures system, over heat cut out and rear roller feet. Excellent condition supplied with 2 baskets.